AV.io HD is a video capture device that doesn’t require drivers to be installed on your computer—it’s as simple as using a webcam! Windows, Mac and Linux operating systems will automatically detect AV.io HD capture card ensuring compatibility with your favorite software. 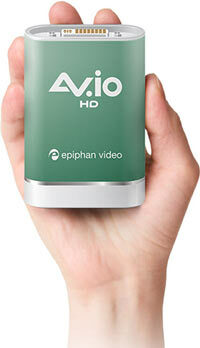 Epiphan’s AV.io HD™ captures HD video at 60 frames per second. Required adapters and cables for HDMI, DVI or VGA devices are included with your AV.io HD — simply connect your device and start sharing. 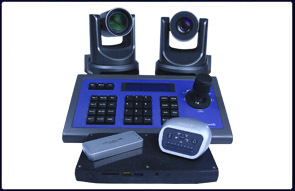 Supports brightness, contrast, horizontal and vertical shift adjustments for perfect capture from VGA sources. 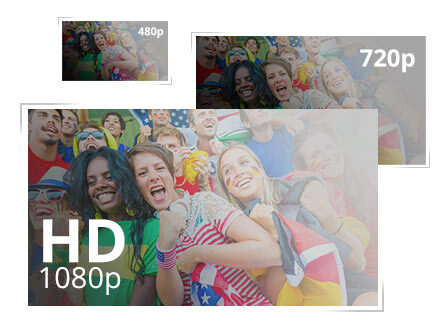 AV.io HD automatically takes care of scaling and aspect ratios, so you don’t have to! Built to last, AV.io HD features robust connectors and an all-aluminum enclosure. It’s durable and small enough to be taken anywhere you need to share video! Power-on your AV.io HD by simply plugging it into your computer’s USB port – no AC power connections required! 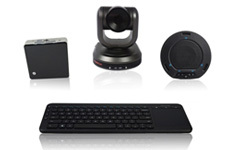 Share video as easily as your webcam using AV.io HD with your favorite software.